If you want to watch live TV on your Apple TV—cable or antenna—it’s relatively easy to set up and get going. The great thing about streaming set-top boxes is that almost everything you need for watching content is available in one place…except for live television. 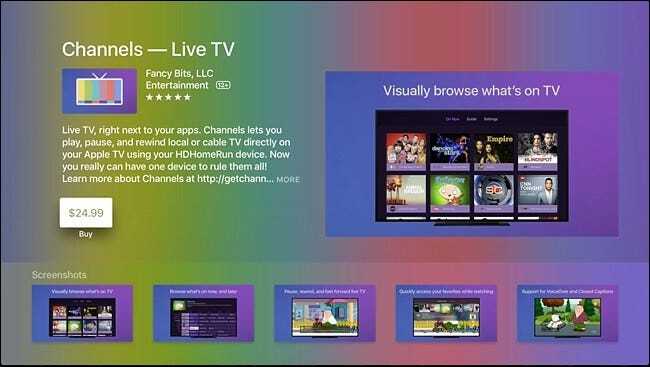 You can download a network’s respective app to watch a live stream of their channel, but you usually need a cable subscription in order to do that, which negates the whole point of cord cutting in the first place. Thanks to the Apple TV and an app called Channels, however, you can get Live TV—complete with a cable-esque episode guide—right in the same interface as all your streaming apps. For this process, you’ll need an HDHomerun (a device we’ve covered before in the past) along with a TV antenna (for free over-the-air TV from networks like NBC, ABC, CBS, etc.) or your cable box (which will offer you many more channels like ESPN, TBS, and so on). Of course, you can watch live TV without the HDHomerun—using your antenna or cable provider—but it requires constantly switching between inputs on your TV every time you want to watch television. If you want to hook it into the Apple TV, you’ll need the HDHomerun. The HDHomerun is an external TV tuner that connects to your home network. From there, you can watch live television from any device in your house, so long as it’s connected to the network and the device has an app that can pick up live TV from a tuner. There are three versions of the HDHomerun: the Connect ($110), Extend ($180), and Prime ($135). The Prime supports cable boxes (and only cable boxes), while the other two are designed for over-the-air TV antennae. The Connect and Extend are very similar, except the Connect model requires an 802.11ac router in order to watch live TV over Wi-Fi, while the Extend only requires an 802.11n router. Most newer routers today use 802.11ac anyway, so feel free to go with the Connect if your router supports 802.11ac. It’s cheaper than the Extend, which is nice (although the Extend comes with a newer, fanless design). To install the HDHomerun, you’ll need the device, its power cord, an ethernet cable (included), and a TV antenna or cable box. I’m using the Mohu Leaf antenna for this guide. 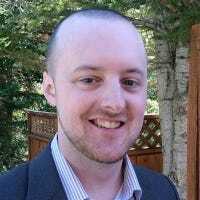 NOTE: If you have cable, you’ll almost certainly need to contact your cable provider and have them install a CableCARD in your HDHomerun as well, since the vast majority of cable channels are encrypted. Once you have everything you need, just plug the HDHomerun into power, connect the TV antenna or cable box to the device’s coaxial jack, and use the ethernet cable to connect the HDHomerun to an empty ethernet port on your router. From there, the device will automatically boot up and be ready to go. Next, install the Channels app on your Apple TV. You can also download it to your iPhone or iPad. The Apple TV version costs $25 ($15 for the iOS version), which makes it one of the most expensive apps in the App Store. But considering the app also gives you a cable-like TV guide on the screen, the cost is definitely worth it. After downloading and installing the app on your Apple TV, open it up and it will automatically recognize your HDHomerun on your network. You can confirm this by selecting “Settings” at the top. 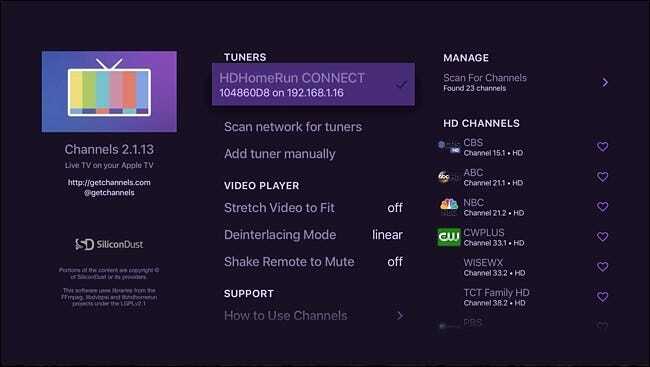 From there, your HDHomerun tuner will appear on the screen, along with a list of channels that your antenna grabbed. Overall, the Channels app is pretty basic, but that’s a good thing. At the top, you can either choose “On Now” or “Guide”. 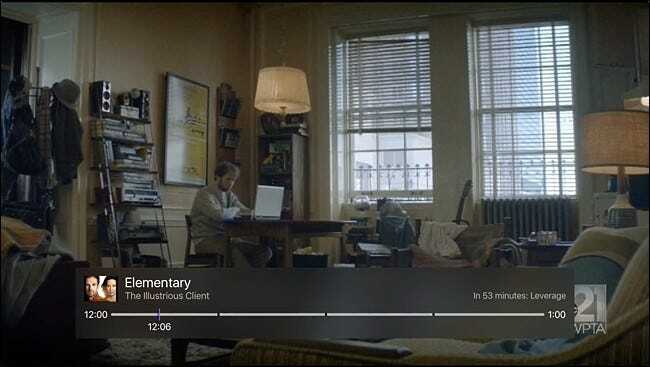 “On Now” will show you what’s playing on television right now and display it all with large thumbnails (pictured further above). 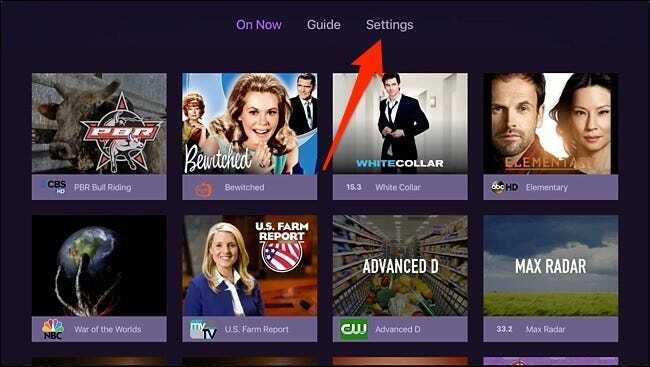 Choosing “Guide” will give you a familiar interface where you can browse what’s on TV now, as well as see what’s airing later on. When you select something to watch, you’ll be taken to that channel immediately. 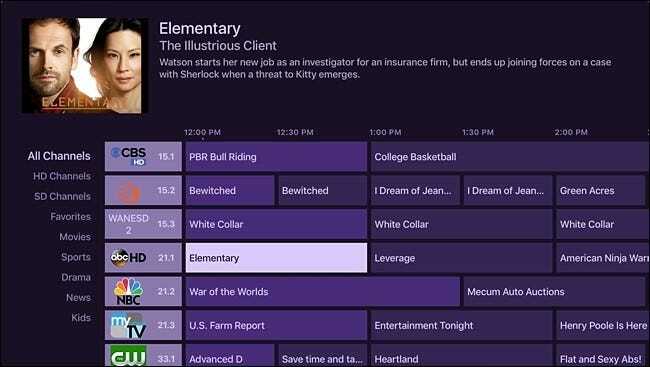 You’ll also see a scrub bar at the bottom that tells you what the TV show is, as well as what’s airing afterward off to the right. Channels lets you pause and rewind live television, and there’s even a DVR function that lets you record whatever you want so that you can watch it later. However, the DVR feature is currently still in beta, and costs $8 per month. Remember that the HDHomerun works with any device, as long as you can get an app for it that lets you watch live TV through a tuner. That means you can use it with not just Channels, but VLC, Kodi, and even HDHomerun’s own app that you can get for Windows or Mac.